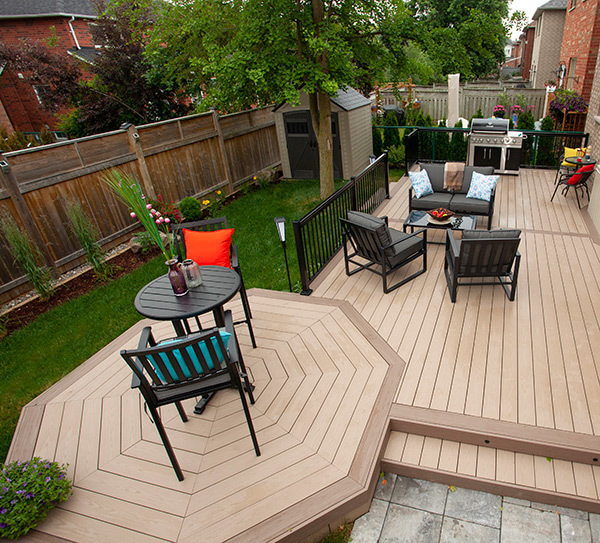 While still relatively new to the market, composite decking is rapidly replacing wood as the deck material of choice. While still providing the beauty of wood, composites are more durable and require lower maintenance. Hickory Dickory Decks has been using composite materials since 1995, and our builders have constructed over 25,000 beautiful composite decks. The many composite decking options available today – including an extensive variety of finishes and colours – can produce absolutely stunning decks that only require normal, regular cleaning to maintain their beauty.